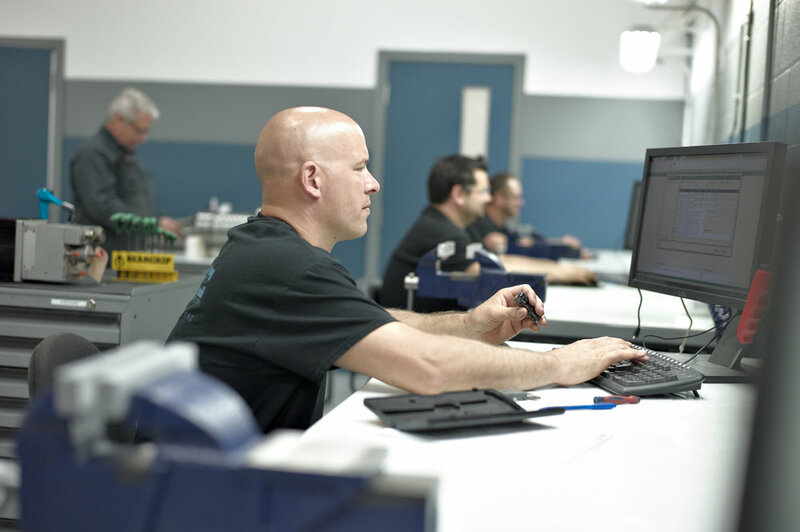 Our certified technicians repair, maintain and install spindle on multiple brands of CNC machines across Canada. We are the Authorized Canadian Service Center for FRANZ KESSLER spindle. Complete in-house machining - Allows for custom solutions with precision. New temperature controlled facility to ensure quality control and good working conditions. Invested in high-tech equipment to ensure quality and precision - Weiler E50 Hybrid Lathe, Dynamic Balancing Benches, Temperature Controlled Workshop, Vibration analysis equipment, Surface grinder (kent), Precision instrument, CNC 3-axis (Huron), CNC Cylindrical Grinder (Supertec), Hexagon CMM machine. 1 (one) Year Warranty - MEC PRECISION stands behind their work. We offer a full 1 (one) year warranty on most repairs. Hexagon Metrology CMM - Measuring critical components with micron precision using this high-tech piece of equipment with certified results. Save valuable production time and money - Compare the costs and delays of shipping your spindle for repair south of the border, or for that matter overseas, and see how you can save time and money to get back up and running very quickly. Vertical business - We are a self-contained business unit, all is done in-house without outsourcing. This ensures the control of quality and the ability for quick turnarounds..
Our experts can travel to your location for an on-site diagnostic. We needed to get repaired fast. We couldn't find it, so they made it! Preventive maintenance on the spindle is to detect in advance possible anomalies at the costumer’s place. This procedure on a regular basis will help extend the spindle life and to minimize breakdown on CNC machine. Please contact us for more information on how we can help you with your Spindle Maintenance.